You guys know how excited I get when there is an affordable collection dropping, especially when it's a collaboration with one of my favorite stores, Target! Within the last couple years, Target has teamed up with newer designers, such as Jason Wu [2006, collection launched 2012], Peter Pilletto [2007, collection launched 2014] and most recently Joseph Altuzarra [2008, collection launched 2014], but Target has switched gears doing a collaboration with a legacy, Lilly Pulitzer, which hasn't had the best feedback! This collaboration has ruffled a few feathers with the higher tax bracket masses because some feel as if Target doesn't hold the "standard" to carry such a prestigious name. They feel as if the late  Pulitzer s' work won't hold it's uniqueness once this has passed. Pulitzer's brand was, and still is, popular with high society, who donned her the "Queen of Prep". 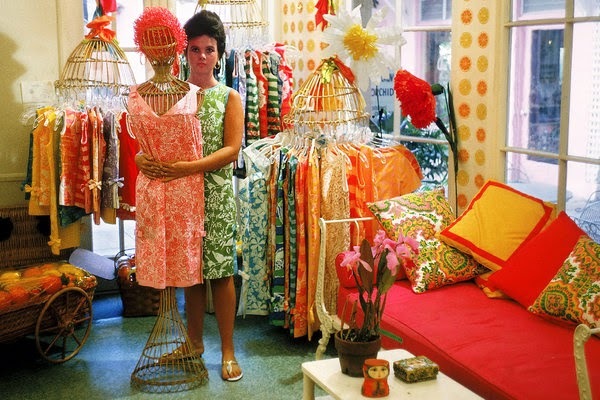 For the few who aren't familiar with her, Lilly Pulitzer [born Lillian Lee McKim] was born to Robert and Lillian McKim, who were socialites in New York in 1931. Fast forward to adulthood, she married and relocated to Palm Beach, Florida, where her husband, Peter, owned several citrus orange groves. With produce from the groves, Lilly opened up and operated a juice stand. In efforts to camouflage the citrus stains from squeezing fruit, she designed a sleeveless shift dress made of bright, colorful printed cotton. She found that her customers loved her dresses which sold more than her juice and to sum up the story, as STAR is born! The fact that these people are upset that women of our pocketbook stature, aka NOT RICH, will be able to buy her brand is absurd! And to be completely honest, her clothing isn't unreasonably expensive to begin with. Would I buy a simple, shift dress for $180-$200, NAH, but it isn't out of reach! What they should nitpick about is that while this collection reaches outside of the normal size restraint of 16 [this collection goes up to a size 26], you can only purchase the plus sized pieces online! Most of the time, Target is real strict about their return policy with designer collaboration pieces, so to make someone buy it online without trying it on, then turn around and either give them a small window, or none at all for return/exchange is a bit bogus! But that's some hot tea that I don't plan on sipping at this moment, so we shall move on! Here are a few of my favorite pieces from the collection! Lilly Pulitzer for Target will have around 250 pieces including apparel for women and kids, accessories, beauty items and pieces for the home. Price range: $2-$150, with most being $30 & under! The line is slated to drop on Sunday, 4.19! I am not sure if I will be heading to Target to try on any of these pieces! I had it programmed in my head that I would just like with any other Target collabo, but with the backlash from the "prep society", it makes me sick to my stomach to even consider it! I may have to give in just for the sake of not breaking my own tradition, but we shall see! Will you be there?